Winter is a time to think about any changes you may want to make to your garden layout for next summer and there are some key practical questions to be answered before you get onto the creative, artistic part of the project. I always advise people to look at gardens, large and small, for inspiration to discover a style that they like. This can be from visiting gardens and shows or browsing the internet where seemingly the number of garden pictures is only surpassed by cat videos! However, once you have your vision there are practicalities to consider. Your garden will not be a straight copy. Firstly, list the things and features that you need in the garden – things that are often missing from the sort of gardens that we visit – for example an area for children to play, a storage shed and a washing line. 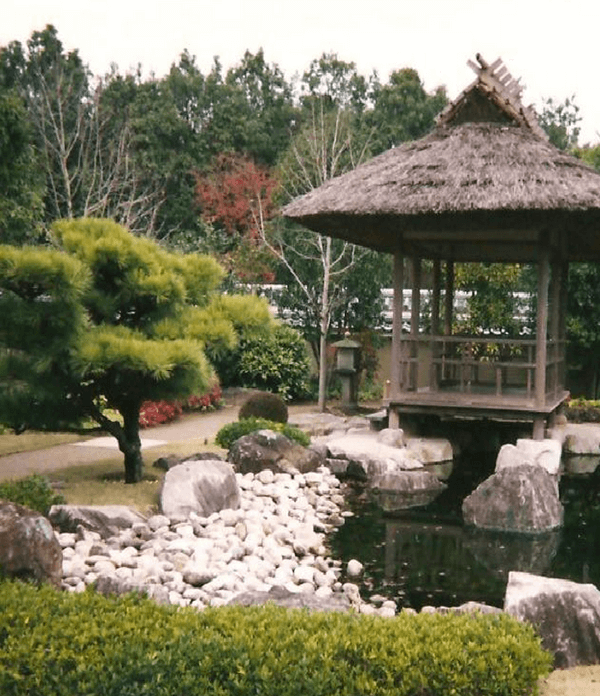 The photograph shows a Japanese style garden and while it is most certainly possible to reflect this in a practical family garden you will probably need wider, level paths and an area of grass as well. Secondly, be very realistic about how much time you will spend maintaining the garden in the medium term. It is one thing to dedicate time to creating a new garden weekend after weekend but once the creation is complete you will need to maintain it. Finally, you will need a plan of the how the space in the garden will be used. This does not need to be millimetre accurate but should be a very good approximation. This plan enables you to be sure that everything will fit. If you intend to change the contours: levelling slopes and installing retaining walls then I recommend engaging a professional landscaper or surveyor to draw up the plan. Spend time on the practicalities now and you will be able to create a garden to impress for next summer.